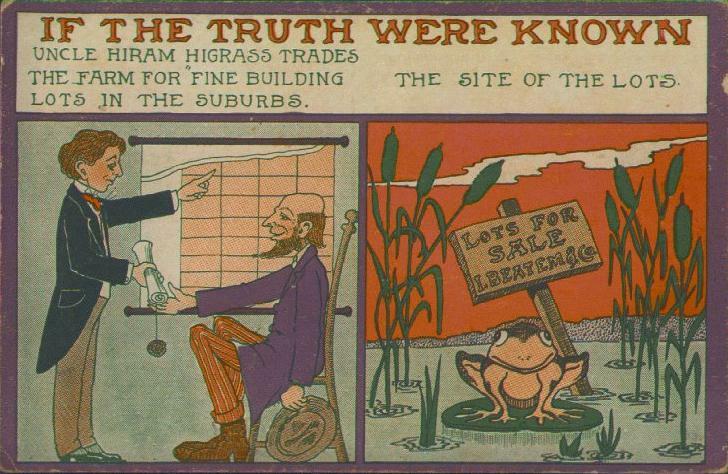 "If the truth were known Uncle Hiram Higrass trades the farm for fine building lots in the suburbs. The site of the lots." 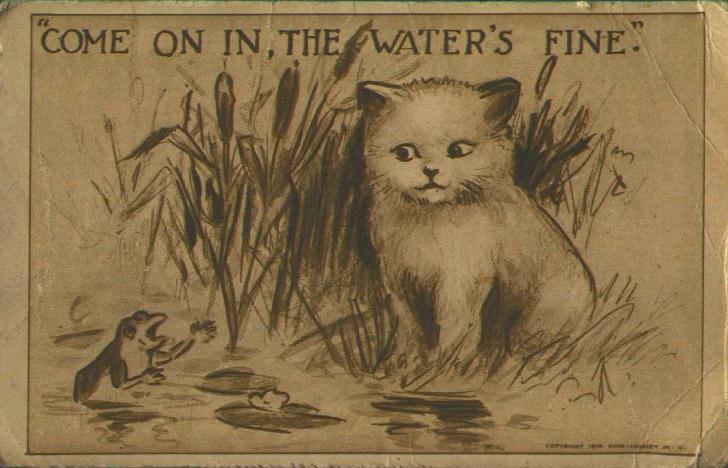 This postcard was mailed from Nebraska February 5, 1910. "Come on in, the water's fine." This postcard was written on but has no postmark. "And they call me 'Bait for Bass'!" This postcard was not mailed. 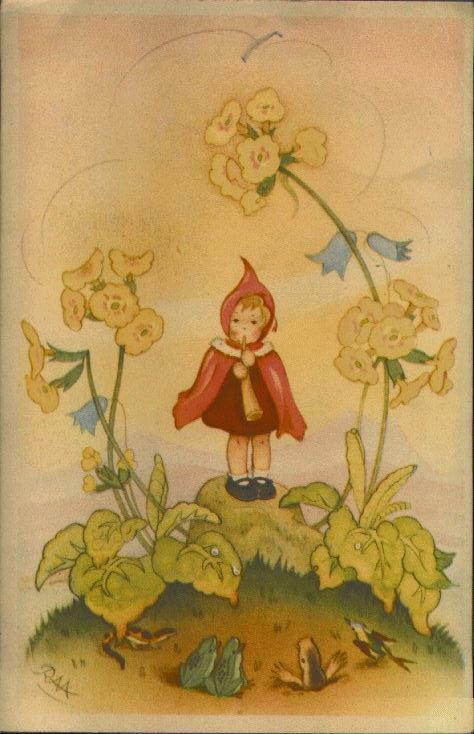 This postcard was written on in 1975 in German, but it has no postmark. 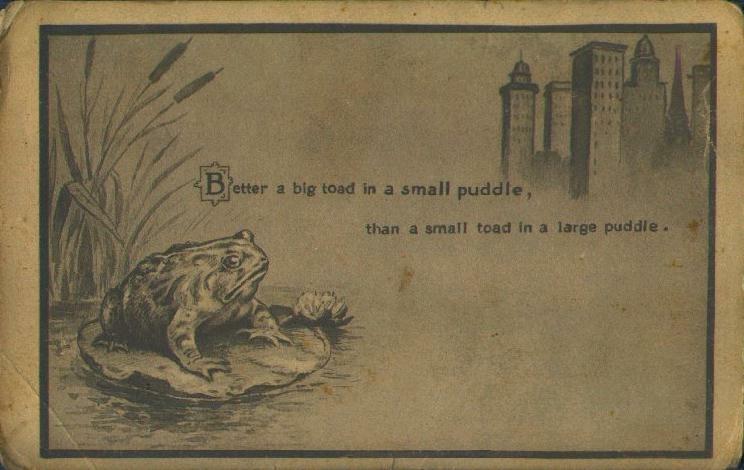 "Better a big toad in a small puddle, than a small toad in a large puddle." 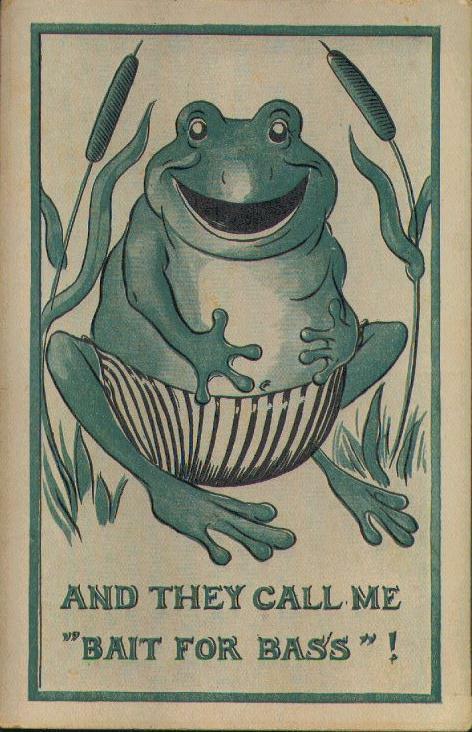 This postcard was mailed from Iowa March 15, 1920. 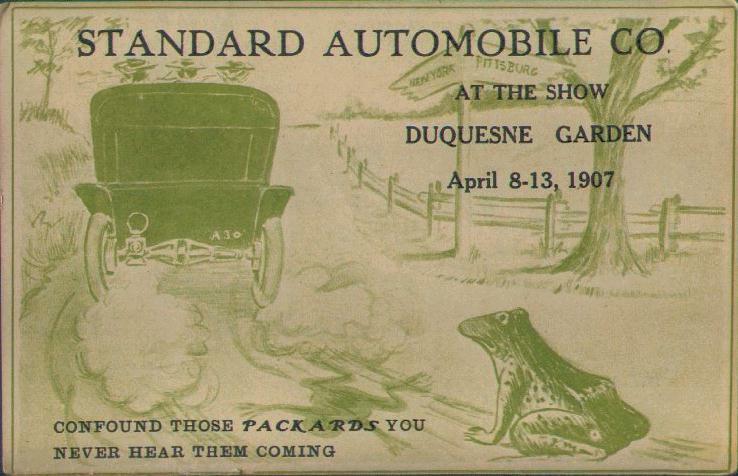 "Standard Automobile Co. At the show Duquesne Garden April 8-13, 1907 Confound those Packards you never hear them coming" This postcard was not mailed. 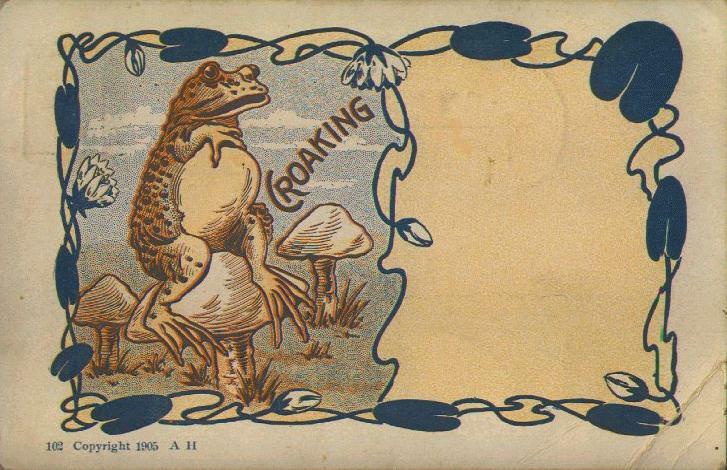 "Croaking" This was sent from Michigan December 23, 1906.